We tailor-make education programs to meet the organization’s unique set of needs and challenges. We work closely with your organization to develop strategic solutions for your business challenges. Our partnerships are characterized by collaboration between world-renowned faculty and senior executives to assure relevance and maximum impact. Each custom program offers best practices, case analysis, group exercises and tools that collectively empower leaders to think strategically and apply their knowledge and new skills at the workplace. Every aspect of the program, from the curriculum to the learning materials to the group assignments, is carefully designed to maximize the program's impact for your organization. The organization is facing a baffling mix of professional challenges, keen competition and demanding needs of stakeholders. It is of foremost importance for an organization to develop and retain strong leaders with visionary mind and capability to lead a high performance team. This program adopts a highly interactive approach with a mixed us of seminars, case studies, management games, role plays and group discussions. It is a cross-functional development program, consisting 3 modules at three locations, ie Hong Kong, Singapore and France, providing the team with an international exposure to different offices, and hence strengthening their sense of belongings to the group organization. Part of the program would be conducted by Company Management Team, delivering corporate directions and latest industry information to the participants. The remaining part of the program would be conducted by CUHK Business School. The combination of the strength of both company internal speakers and CUHK experts helps nourish the next generation of leaders in the region. Our executive education received numerous positive feedback over the years. Below are a few selected testimonials we received. "It was a very fruitful workshop which did not only improve my understanding of the changing operating environment, but also provided me blocks for tackling and facing them. Last but not least, the workshop taught me ways and tools of thinking at work smartly and efficiently. This systematic workshop, through many case studies, would definitely help me take up higher responsibilities in the days to come." "As the most innovative and dynamic bank in China, China Minsheng Bank is committed to investing in our most valuable asset — our employees. Through the partnership with the Asia-Pacific Institute of Business (APIB) of CUHK, our Hong Kong staff is provided with access to a world-class faculty, best practices, and latest know-how. The APIB is flexible in designing and developing customized programmes that align with our corporate values and meet the specific needs of our staff. Also, running the programmes on the APIB campus allows our participants to enjoy the relaxing educational atmosphere while enhancing a wide range of knowledge and skills. I look forward to continuing our collaboration with the APIB and developing other customized programmes that further develop and benefit our business and staff." "A big thank you to all the professors and facilitators of the Grandmaster Program. During the 5-Day program held in the peaceful corner in Shatin, I truly experienced a world class executive education of CUHK. 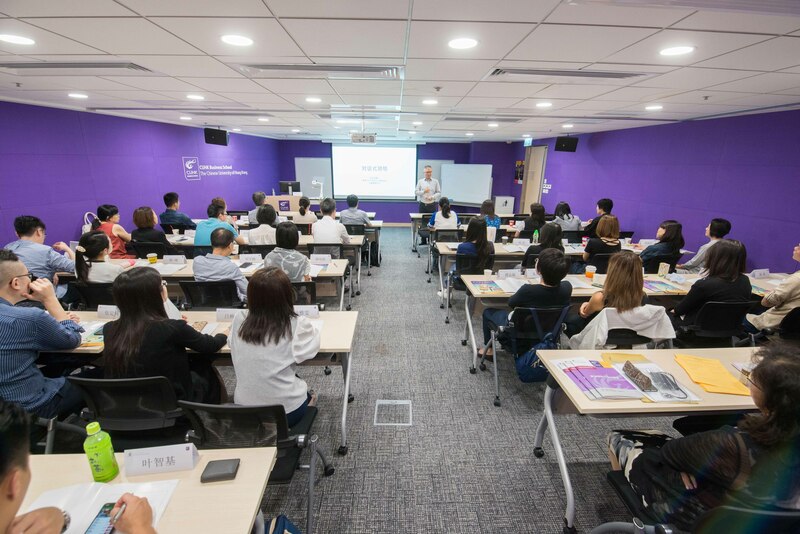 The Program designed with an integration of corporate training and executive education from CUHK professors. This makes the Grandmaster Program a unique one for us. With classmates from different Asian countries within the group, it brings me different angle of perspective and the cohesiveness with various function of our group company. The session on influence skills is particularly crucial for a 21st century manager as we learned about how to apply different influential techniques under different situations. Corporate Social Responsibility is also a hot topic on how to build the foundation of sustainable development and at the same time, contribute to the society. I do recommend every talents, prospective leaders or managers to experience the executive education from the Asia-Pacific Institute of Business of CUHK. Only when the smart meets the smart would genius emerges." Contact us now to co-create a custom solution for your organization. Our experienced professionals will help you best achieve your goals.